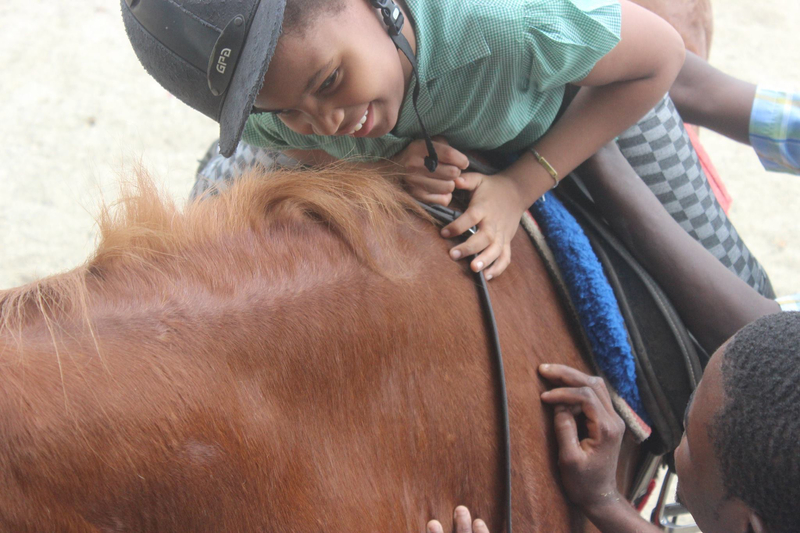 Equine Therapy is a very important part of our Special Needs Program. 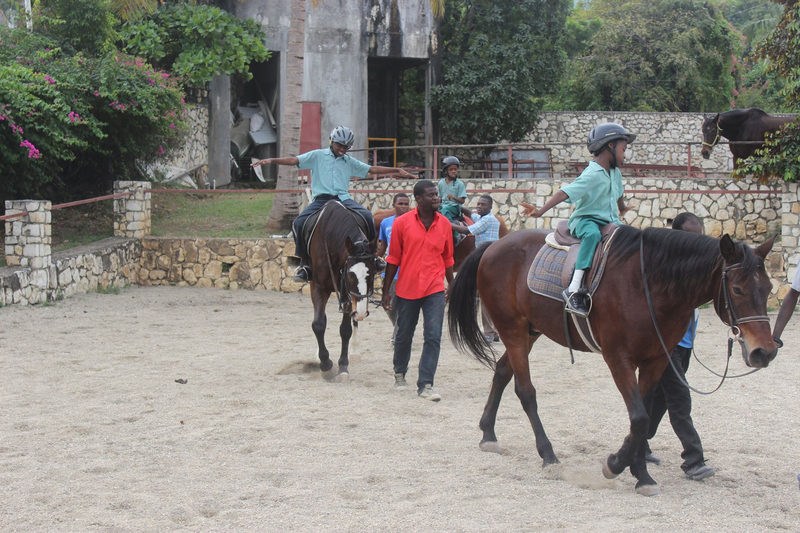 Three times a week a bus full of children travels 2km through Tabarre to Chateau Blond for the therapy. Equine therapy has been shown to promote physical and emotional growth, while it also improves balance and strength. It is also clear that the children really enjoy the experience….the smiles are a dead give away!